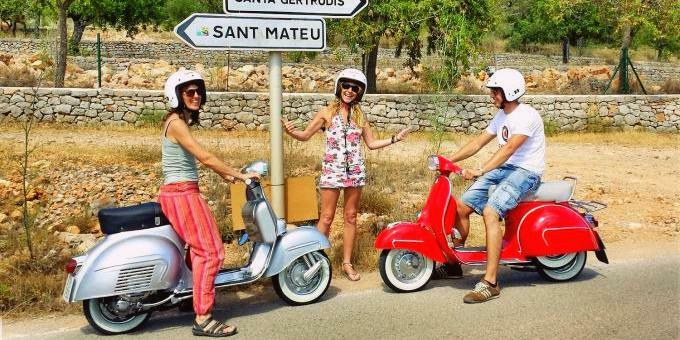 Ibiza Virgins: What Can You Do Outside The Clubs? Our guide on how you can absorb a little more of this beautiful island away from those superclubs. As an Ibiza Virgin, you're obviously going to be overwhelmed with excitement for the world of clubbing that awaits you when you touch down on the island. 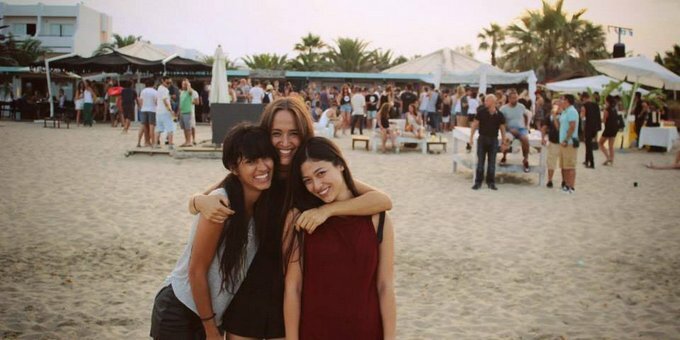 However, it's important to learn that popping your Pacha cherry isn't the only awesome thing to do in Ibiza, and the White Isle holds many an (almost) free delight away from the clubs, the cocktails and the 7am bed times. You can rent a scooter for the day for less than the price of two drinks in the big clubs. A great place is Cooltra where it's a mere 30€ for 24hrs. It's a great way to delve beneath the surface and explore the depths and corners of the island. With the trusty scooter as your companion, everything is a lot easier to get to. One of my favourite things to do is pick a direction and simply discover your own favourite places on the island. A full tank of petrol is only 7€ which will last you for the day at least. Just note that you need 3 years driving experience with a full licence to get a 125cc scooter. You can get a 50cc with just a provisional licence but this isn't much good for cross-island use. A must-see for all island visitors is the Es Vedra rock formation. There are many legends about Es Vedra. You can make your own decision whether to believe that it is one of the most magnetic points in the world... or if it is the tip of the lost kingdom of Atlantis... or where the sirens lived that tried to lure Ulysses to his death in Homer's Odyssey... But there is no denying the mystery adds to its beauty. There is an old watch tower called Torre del Pirata high up on the cliffs that you can climb up to and see Es Vedra and the sun setting. The peaceful silence you experience up here at dusk is beautiful, and a great way to start a long-lasting love affair with Ibiza near the beginning of your holiday. A lot of the beaches are hard if not impossible to get to by public transport, so having the scooter makes exploring the stunning and scattered beaches a breeze. Whether you're after sun bathing, rock scrambling or the perfect sunset, there's no shortage of sands to choose from. Make like all the beautiful people on the island and pop to the trendy Salinas for a day of azure waters, soft-under-foot sand and sunbathing. Have a wander past Jockey Club and Sa Trinxa which both really encompass the relaxed glamour of Salinas, and maybe treat yourself to some Sangria de Cava so you can sit in, smell the yummy fresh fish and the sea breeze and watch the world go by. Sa Trinxa is great for live music too; check out legendary resident Jon Sa Trinxa's Spotlight podcast for a taste of what you can expect from this Balearic gem. If you're after a breathtaking sunset, head North to Benirrás. The sun seems almost within grasping distance, especially if you clamber across the rocks, and you feel like you're on the edge of the world as it sinks below the horizon in a moment of perfect tranquillity. 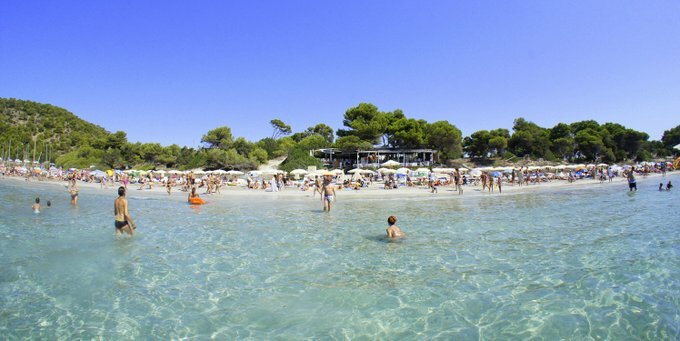 Cala Nova, next to Es Canar, Santa Eulalia, is perfect for anything from paddling and sunbathing to surfing. Clear waters and sandy beaches make this a true paradise, and it's in a lesser-inhabited part of the island so you're less likely to have to say ‘hey, you're blocking my sun' to any pesky personal space invaders. 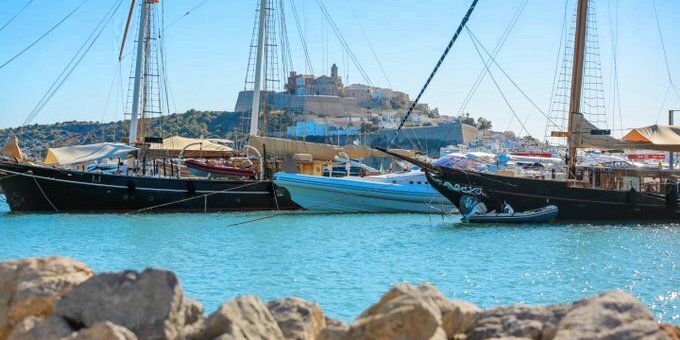 The old town is a beautiful hub of raw, real Ibiza culture. You can get the bus here from San Antonio (the number 3) or Bossa (the number 14) for just 2 EUROS and there's a whole other world of things to see and do. See if you're in shape enough to handle the worthwhile trek up to the top of the medieval modified fortress that is Dalt Vila. Along the narrow cobbled streets you'll find courtyards, hidden chapels, art galleries and the white-washed houses that a lot of locals inhabit. From the top you can see some fantastic views of the town and harbour that definitely make the walk worthwhile. It provides a great free day out (well, unless like me you succumb to a three-scoop ice cream after the uphill climb.) If you can, make sure you catch the transition from day to night here, so you can see the whole place lit up. There are some great and cheap places on the front to eat and drink, but there are some hidden gems amongst the side streets that you have to visit. For me, there isn't a better mojito on the island than at Bar 22 on Calle de la Virgen and the staff take care of you wonderfully. If you're after real traditional Spanish food, look no further than Comidas Bar San Juan, where the food is delicious, authentic and also an absolute bargain (for dinner, arrive just before 8:30pm for doors opening as there can be a bit of a queue later). The big clubs are a safe bet on catching your headlining DJs, but every so often your favourite DJ will play spontaneous sets in the most unlikely places. Make sure to keep your ears to the ground for these special events that could make your summer! The best way to do these is to join the Ibiza Spotlight Forums, where this sort of information never goes unshared. Bigger bars will advertise their special guests, but it's the quirky and cool ones to keep a beady eye on, so you can also get chatting to the bar staff and sniff out the savvy PRs who might have info about any extra special events going on. Finally, if you still have an itch to party that you just can't scratch, there's loads of cool parties that are worth attending away from the norm. 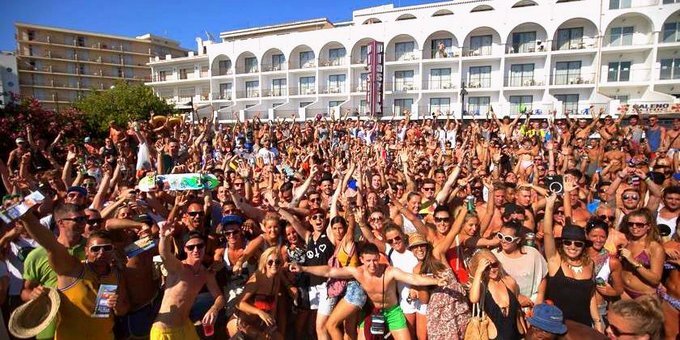 Sands Beach Bar in Playa d'en Bossa, which is part-owned by Carl Cox and the Safehouse Management team, is a great one for free parties with cracking line-ups that rival those in the clubs. In fact, this Wednesday 7th August sees Nicole Moudaber's label Mood Records take over with a legendary line-up that will shake the sand beneath your over-partied, over-excitable feet. Expect sets from Nicole herself, Danny Tenaglia, Anja Schneider and more, plus Mood Records' very cool rising talent Tom Peters. This starts at 3pm and you won't get a better Wednesday afternoon, especially for nothing! The Departure workers parties are huge on the island this season, occupying cool beach front venue Itaca in San Antonio every Thursday. Expect some of the best and freshest new names in house and techno, plus free entry and great drinks prices. tINI and the Gang at Sirocco Beach at the far end of Playa d'en Bossa is definitely one worth the bus fare. The phrase ‘free beach party' is like music to the ears of those who have spent too much money clubbing and too much time in the dark recovering. Starting at around 5pm on Wednesdays you can see tINI joined by the likes of Enzo Siragusa, Guti and Audiofly for free whilst simultaneously tanning on Playa d'en Bossa's beach... what more could you want? Going to an Ibiza beach - take the bus!